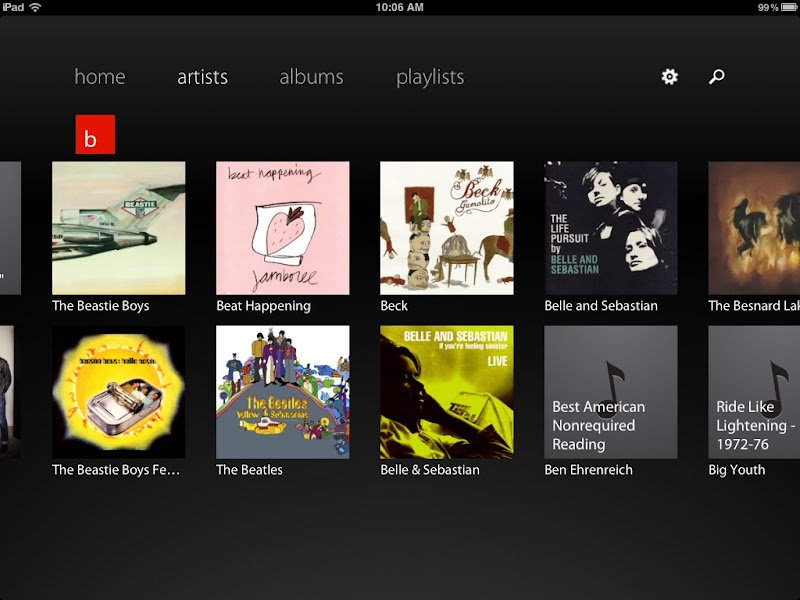 I am very intrigued by the new Metro design introduced by Microsoft, and I was excited to experience it on the iPad. Track 8 is a gorgeous Metro music app with nice graphics, a clean layout, and smooth animations between menus. 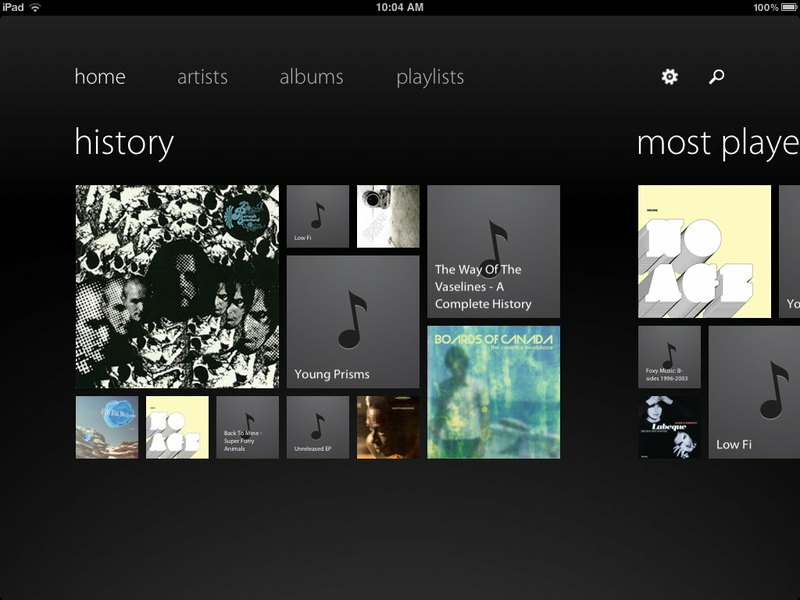 Track 8 displays songs by artists, albums and playlist, and it shows best if your songs all have album artwork. Less impressive, but still interesting, is FlickStack: a photo browsing app for Flickr and 500px photos. The style adopted by FlickStack is a mixture between iPad and Metro style. Below an image of the home screen. The images of a selected stream are displayed in a even grid, which I found visually less interesting. The same view in landscape orientation displays the navigation to all streams, compacted in a panel on the left, and the images of the screen on the right. I found this layout a little too busy and unnecessarily complex. If you are not on a budget, you can experience, for $25, a more complete Metro experience on your iPad by using Win8 Metro Testbed – powered by Splashtop. Win8 Metro Testbed is a simple remote desktop application, and it requires a connection to a PC installed with Windows 8 Consumer Preview.